Home » Investing Resources » Precious Metals IRA Resources » Is a Silver IRA Right for You? A silver IRA is a retirement account that is backed by investments in silver or a mix of other precious metals including gold, platinum or palladium. ➜ What are the benefits of a silver IRA? With so much volatility in the stock market – and continued uncertainty in the years to come – more and more Americans are making the decision to safeguard their retirement savings by investing in precious metals. The question is: Is a silver IRA right for you? … then investing in precious metals like silver and gold could be the right strategy for your retirement planning. Below, we provide a brief overview of some of the primary advantages of precious metal investments to help you determine how they could fit into your financial goals. Since no two investment strategies are exactly the same, be sure to speak to a knowledgeable precious metals specialist who can provide more personalized advice based on your specific situation. No matter what your retirement planning strategy is, you should never put all your eggs in one basket. Investing in precious metals enables you to truly diversify your savings, thus protecting it from severe devaluation if your investments in other markets take a significant hit. Be prepared when you reach retirement age. During the most recent recession, many hardworking Americans had to delay their retirement indefinitely when stocks plummeted. Unfortunately, the threat of this volatility will always exist, even in relatively good economic times. By safeguarding your savings in a silver IRA, you can protect against the potential road bumps associated with traditional investment options, and help ensure that your steps toward retirement go as planned. Preserve your wealth and current lifestyle. Even if you are years away from retirement age, it’s never too early to invest in your future. Precious metals like silver and gold have growth potential that can help ensure that you live tomorrow as you live today. Over the last several years, the value of silver has increased substantially, and many expect it to continue its climb for years to come. This is yet another reason why many people are moving their retirement funds from eligible 401(k)s or IRAs into an IRA backed by precious metals. Limited supplies could result in further gains. Keep in mind that silver is a finite resource – there is an increasingly limited supply, and it is not recycled as heavily as gold is. Additionally, as the use of silver in the medical and industrial sectors continues to rise, the demand will only increase. This is what could catapult the value of silver to new highs in the coming decades. 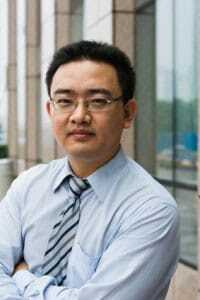 A smart alternative to low-yield liquid assets. Because of the security and growth potential of silver, precious metal advisors recommend converting liquid assets into silver investments, such as a silver IRA. This can include money market funds, CDs, or any other low interest-bearing savings that are essentially just sitting untouched. Those who have invested heavily in gold and silver over the last several decades have increased their purchasing power tremendously. That’s not simply because of the rising value of these investments; it’s also due to the fact that the U.S. dollar has declined. This is why precious metals can be a smart way to hedge against inflation and thus protect against the chances of your worth being eroded along with the declining dollar. Convert other retirement accounts easily. 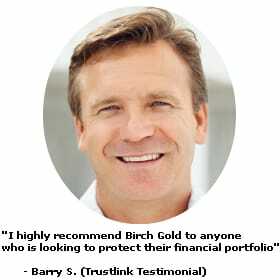 As a leading precious metals company that is rated A+ by the Better Business Bureau, Birch Gold Group can help answer your questions and determine if a silver IRA is right for your situation. Our skilled and knowledgeable precious metals specialists are happy to educate you on all your options, including investments in silver bullion and numismatic coins for personal possession or included as part of an IRA. Regardless of your financial goals or retirement plans, we’ll guide you through the process of purchasing silver or other precious metals, so you can have peace of mind. We are known for our integrity and exemplary customer service, and we aren’t satisfied until you are. Simply contact us today to learn more about silver IRAs or other precious metal investment options. 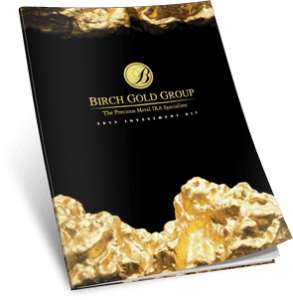 Call Birch Gold Group at (800)355-2116 or fill out the form on this page for more information.